Good news! 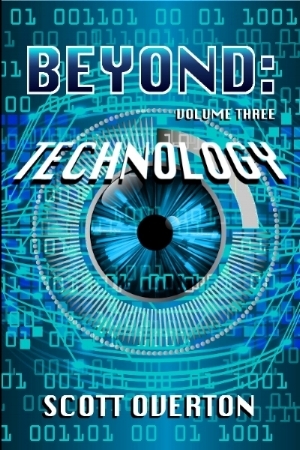 You can now buy BEYOND: Technology the third ebook in my BEYOND series in my Bookstore and at all popular ebook online outlets (or within a day or two, if the staff is in summer mode). Once again I offer three SFF short stories on a theme. This time, as the name suggests, it's trouble with technology. When a worker at a bio-weapons lab becomes distracted by her relationship problems the fate of the human race hangs in the balance. A small island nation claims to have true democracy with every citizen voting on all major issues. But when a reporter investigates, the truth is stranger than she could have imagined. An expert gamer seems like the perfect pilot for a microscopic prototype submersible controlled through virtual reality. Until the connection becomes too real for the human mind to handle. Two of the stories have been published previously in other anthologies (one of them twice), so you don't have to take my word for it that they're good reads. And a great bargain, too. Some inexpensive summer reading to give you an excuse to laze around on the beach--what's not to like? Or why not get nine great stories by picking up all three e-collections BEYOND: The Stars, BEYOND: Time, and BEYOND: Technology? By the way, I do still plan to collect all of these nine stories, plus the six from my two other e-anthologies, into one big juicy print book in mid-August or so. I'll let you know when it's ready, so keep checking the web page.